Sarah began her educational journey in the UK working in Kent, Surrey and the East end of London. She went travelling through Asia and began her life in Australia, first Tasmania and then Perth. She took a detour for a few years, working at the Department of Agriculture. This was followed by many years being lucky enough to stay at home with her four children. The family found BPCS and all of her children have attended the school since pre-kindy. 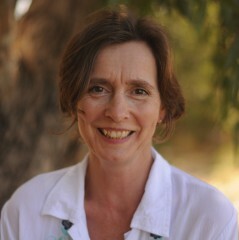 Sarah has been teaching at the school since 2010. Her passion is encouraging curiosity and collaboration in children. Sarah is enthusiastic about her own research and learning and is partial to books!